At Lane, you’ll end each day with a smile. After nearly three decades, I am reminded daily why I love my career in nursing and can’t imagine doing anything else. 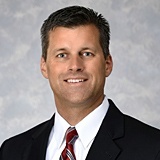 From the operating room to medical-surgical nursing to adult and neonatal intensive care; nursing has provided me many opportunities in patient care, education, and leadership. At Lane, you too can find your niche in these settings and many more. Lane nurses are dedicated to providing excellent patient and family centered care and promoting nursing knowledge and practice. It is the vision of Lane Nursing to be a leader in health care by creating a culture of relationship-based care emphasizing our values of excellence, integrity, compassion, respect and commitment. We are focused on providing you an environment and opportunities for personal growth and advancement. We offer competitive salaries and benefits along with flexible staffing and continuing education. 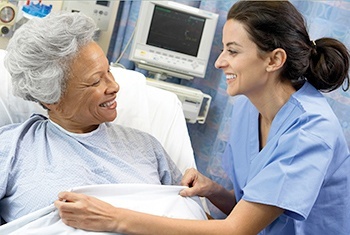 Professional certification is encouraged and rewarded, and programs such as Clinical Ladders recognize nurses for their knowledge, skill, and versatility. If you are looking for a satisfying and fulfilling career, consider joining the Lane Regional Medical Center nursing team today!!! I know you’ll love it as much as I do. Lane is such a great place to be employed, you may not refer to it as work. You will always be treated like a respected member of a vital team that works together to provide the very best care possible. As part of the Lane family, our nurses have the satisfaction of knowing that their professional skills are valued – by their peers, our Medical staff, and most importantly, by their patients. 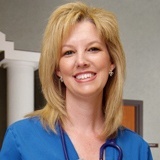 Nurses are important to Lane Regional Medical Center. Within our dynamic environment, you’ll find a wide range of career path opportunities open to nurses who seek greater autonomy, decision-making responsibilities and the support of our team-oriented Administration. Our nurses, doctors and staff have created a team environment in which we provide the highest possible care for our patients. "I have been in a lot of hospitals. And when compared to other hospitals, I saw that Lane provides the most personal care for its patients. It’s just a great hospital." 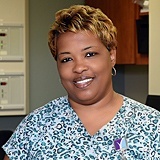 "I truly feel each patient is treated like a part of our Lane family. They are not a number. They really mean something. The care given here is genuine, down to earth, high quality care. I also love Lane because the staff and patient opinions matter. Our opinions and comments are used to improve services and processes." "From the first day I walked From the first day I walked into Lane, it felt like home. Everybody knows your name and speaks to you no matter what title you hold or what department you work in. Now I invite other nurses to join our growing community." Excellence in Patient Care through Nursing Achievement. 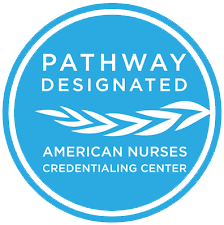 The American Nurses Credentialing Center (ANCC) has once again honored Lane Regional Medical Center with the Pathway to Excellence designation - making it one of 125 facilities nationwide and the first of only three hospitals in Louisiana with the distinction. The Pathway to Excellence designation identifies the elements of a positive work environment where nurses can flourish. The designation also recognizes the professional satisfaction of nurses at Lane and identifies Lane as one of the best places for nurses to work. This is important to us since research shows that a healthy work environment not only improves nurse satisfaction, but also increases patient satisfaction and quality of care. Our Pathway to Excellence designation is truly an honor, and we are proud to be identified as a leader in nursing professionalism and innovation. Shared Governance – Nurses at every level are included in making decisions that affect their practice. Nursing has a successful shared governance model to support these decisions and assist in implementation of new policies and procedures. Education and Competency – Lane provides continuing education opportunities and supports professional development through recognition of national certification in fields of practice and degree advancement. Evidence-Based Practice – Since 2009, nurses throughout the organization have actively engaged in evidence-based practice projects that have changed protocols, improved patient care, and positively affected patient outcomes. Lane Regional Medical Center is located in Zachary, Louisiana and is one of the fastest growing cities in Louisiana. Our community school system consistently ranks as the number one school district. And even though we’re growing, we have not lost the historic art of hospitality, of caring for others — and that seems to make all the difference.